Joel Tjintjelaar – BWvision.com Owner and Founder, B&W fine art photographer/ educator/ author. Joel Tjintjelaar is a fine-art photographer, specialized in Black and White, long exposure, architectural, landscape and still life photography. 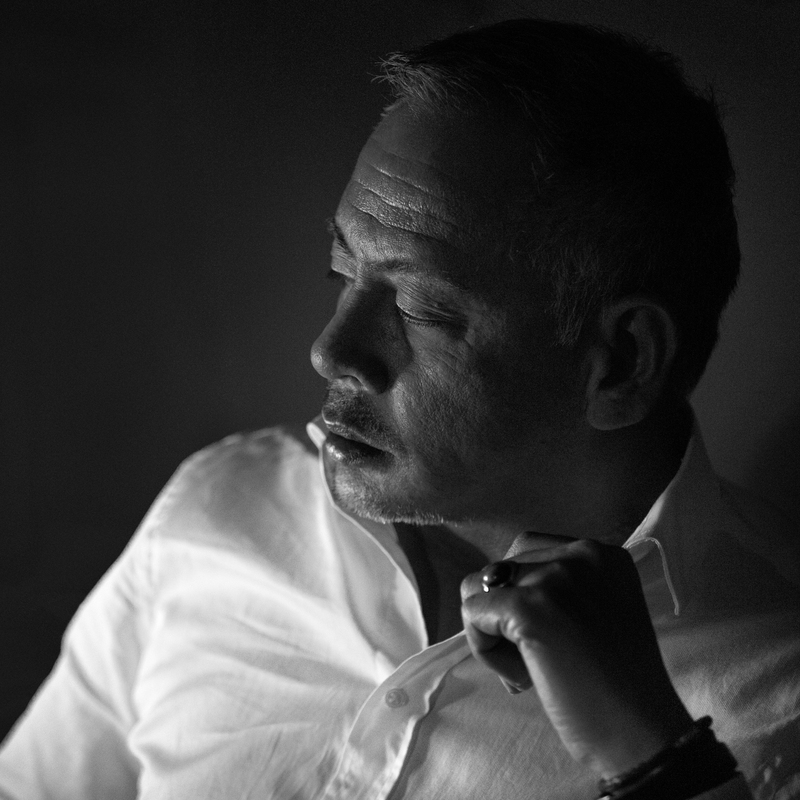 Born in Jakarta, grew up in The Netherlands, trained as a criminal lawyer, but worked in the IT for over 20 years before he decided to quit his daytime job and to dedicate the rest of his life as a full-time professional photographer in 2014. Joel believes that fine-art photography and art, in general, is about creating experiences to change perceptions and create awareness, sometimes on an aesthetic level, but preferably on a more profound level that changes how we see the world and contributes to a meaningful cause. As a photographer, Joel won several 1st and 2nd prizes at the prestigious International Photography Awards between 2010 and 2014 and other commendations such as shortlisted photographer for the Sony World Photography Awards in 2010. Joel has developed a digital B&W post-processing method that has been adopted by many B&W enthusiasts over the world since 2011. Together with FOTOTV and cinematographer Armand Dijcks, Joel has produced several video tutorials on B&W photography and long exposure photography. His work has been published in all the leading photography magazines since 2009 and his work has been represented in galleries and displayed in exhibitions worldwide since 2013. He is a signature edition artist for Formatt-Hitech and one of the faces for the introduction of the PhaseOne Achromatic camera. These days Joel is spending most of his time teaching workshops and mentoring students from all over the world on the art of B&W photography and is producing advanced B&W editing software panels for Photoshop since 2016. Joel is also the co-author with Julia Anna Gospodarou of the 424 pages eBook From Basics to Fine Art – Black and White Photography – architecture and beyond released in 2014. 2014 International Photography Awards (IPA): 1st place winner in Architecture for Professionals– for the winning entry “Visual Acoustics – Silence and Light – Series 2 Bridges”. A series of 2 photographs on bridges in an urban environment based on Louis Kahn’s concepts on the magic of shadows. 2014 International Photography Awards (IPA): Honourable mention in Architecture for Professionals – for the winning entry “Visual Acoustics – Silence and Light – Series 1 Cityscapes”. A series of 5 photographs on cityscapes based on Louis Kahn’s concepts on the magic of shadows. 2013 International Photography Awards (IPA): Honourable mention in Advertisement: Automotive for Professionals– for the winning entry “Classic Cars in Classic B&W Fine Art”. A series of 5 photographs of classic exotic cars against an architectural or landscape setting in B&W, used for a calendar in the automotive industry. 2012 International Photography Awards (IPA): 2nd place winner in Architecture for Professionals – for the winning entry “Shape of Light” . A series of 5 photographs based on Le Corbusier’s quote. 2012 International Photography Awards (IPA): Honourable mention in Architecture for Professionals – for the winning entry “A monochromatic slice of Mondrian: Monodrian” . A series of 5 photographs based on Le Corbusier’s quote. 2011 International Photography Awards (IPA): 1st place winner in Architecture – for the winning entry “Frozen Music” . A series of 5 photographs of Goethe’s Frozen Music concept. 2011 International Photography Awards (IPA): Honourable mention – Fine-art Landscape category for the winning entry “Zenith”. 2011 International Photography Awards (IPA): Honourable mention – Fine-art Landscape category for the winning entry “Dead-End”. 2010 International Photography Awards (IPA): 2nd place in Architecture – Bridges category for the winning entry “Zeeland Bridge Studies” . A series of 5 photographs of the Zeeland Bridge in the Netherlands. 2010 Sony World Photography Awards (SWPA): Shortlisted and finalist in the Landscape category with Bridge Study IV. 2010 Sony World Photography Awards (SWPA): Special commendation in the Architecture category with Connected. Too many to mention but Joel has been published in leading photography magazines worldwide, from 2009 up to date. Furthermore featured on countless websites and on Dutch National TV in 2013. His work has been used in major global ads for BMW and by Broadcasting networks. As of April 2015 a selection of Joel’s work can only be purchased in a very limited edition at the Rotella galleries in New York City and Las Vegas in the USA. O-Elite Gallery – Starting June 2019. Also a small selection of Joel’s work is exclusively available as a limited edition at the Joseph and James gallery in Amsterdam, The Netherlands. BWVISION is a website, founded in 2009 by Joel Tjintjelaar, and his personal voice in photography focused on understanding fine-art and enabling craftsmanship in black and white photography. We do that by critically deconstructing the many rules and myths surrounding photography and art that limit our artistic potential. And we do that by providing articles on black and white photography, based on personal best practices that have led to personal successes. They don’t serve as rules in fine-art photography, but merely as guidelines that may work for you too. Because there are no rules in art and there’s no recipe for success in art, other than being authentic. We therefore also believe that it is our mission to be authentic in the content of the articles we provide. We refine concepts, sometimes we redefine concepts, but we will never rehash commonplaces. As a creative, technology is there to support and enable us, not to be our main focus of attention. Technique in art is something different. It is the way we use technology in an efficient and effective way to be creative. Many times technology aims to replace our creativity which is favorable if you prefer superficial social media acknowledgment over expressing your authentic voice. And many times techniques are just a collection of tricks with no unifying overall vision: magic without a cause. I don’t advocate the former, nor the latter. My goal is to express our authentic selves, our unique individuality, through art but also through a way of living – which is the real source and goal of art – enabled by technology. I think of myself as a creator with a cause. The techniques I utilize and advocate, are self-built highways through the technological landscape surrounding us, to bring an idea from a mental image to a physical image. I encourage you to make use of those highways. And I encourage you to make use of the gems of knowledge I found along my way. I encourage you, not because I know it all and want to make money off your visits to my website. Yes, surely, I know a lot about my profession as a black and white fine-art photographer, and yes, surely, making money will enable me to make a living and live. But more important than this, material richness only won’t enrich our lives, what enriches our lives and makes it truly meaningful, is when we’re constantly making an effort to contribute to the richness of anyone’s life and life itself, no matter how small this contribution is. Whether this is by sharing my knowledge, by showing the searcher in search of beauty through art a way, by enjoying the art I create, perhaps by being inspired by the art I create or by finding purpose in this life by being able to create intentionally – it doesn’t matter. He who deliberately makes an effort to give to others, no matter what this gift is, enriches life and an individual and contributes to humanity. That’s the most anyone can aspire from one’s life. And in this, I find meaning in life. I find meaning in sharing my joy when creating and viewing art, and I find meaning when sharing my knowledge of the art I create. I’m fully aware of my potential as a human being and with this website and my products, I am making an effort to fulfill my potential. Therefore I encourage you because I want my life to be meaningful. Practice what you preach: everything I share, advise, recommend or the products I sell and endorse, are what I do or use myself. My articles and tutorials, the gear and filters I recommend, the panels I developed. There are no holds barred in the technology and knowledge I share. I’m always aiming for the horizon, and when I’m there, I’m looking out for the next horizon. There’s no ultimate goal, no maximum point, no ultimate product, no point of 100% perfectionism. There’s only moving further from the point I once where, even if that point was the ultimate summit. If you can’t go higher, you need to learn to fly and then go higher. That’s my attitude towards everything I create: videos, books, software panels. If I didn’t meet expectations, it’s not because of lack of trying, but I will always improve and move further away. Be respectful: this applies to me when I approach you, and to you, if you approach me. This applies when giving critique and this applies when receiving critique. Personal and professional service: I make it an effort to help each and everyone personally. If it’s sufficient to help you with just one sentence in an email, then that will do. And if it’s only sufficient to help you after tens of emails back and forth, a phone call, or even a video session, then I’m going out of my way to do that. I’m always, making that effort so long as there’s mutual respect. No exception. But sometimes I fail. Being yourself is good, no matter what other people say. We cultivate being yourself and being authentic because if you are yourself and are being authentic, we are all different and unique and what you create will never be a cliche. We arguably have the most complete and detailed free tutorial on long exposure photography available on the Internet, on this website. Also, arguably, the first to publish such an elaborate article for free on the Internet since the summer of 2009 [more]. Split-toning in the digital age has always been a matter of using plugins or presets in PS or LR software. Often those split-tone results weren’t very subtle with limited control on the end-result. Joel has developed a new method of creating split-tones that is transparent with a high degree of accuracy and delivers far more control over the individual tones and also more subtlety than the average plug-in or preset [more] – this method has been implemented in the B&W fine-art panel, first released in May 2016 and is now called B&W Artisan Pro. The majority of our tutorials have been written by the owner and founder of BW/Vision, Joel Tjintjelaar. I’ve given it a lot of thought and consideration to replace my artist statement, which you can find after my personal statement, with something more personal, a personal statement that you can find here below because not only do I doubt the authenticity of many artist statements, I also think they’re often meaningless and too abstract. And I can imagine you may doubt my artist statement too and find it a prime example of meaningless abstraction. But I decided to keep it as a ‘formal’ statement for those of you readers, who believe that any artist should have a formal statement. I’m not one of them, because I believe my personal statement says more about me and what I try to express in my creations, than any formally constructed artist statement. So here it is, my PERSONAL STATEMENT. I’m an easy going man but I can be very difficult at times, especially if I feel you want to impose your thoughts and believes upon me. I’m openminded and flexible but sometimes I’m very rigid, dogmatic, especially when I know I’m right and you’re wrong. I’m a person of color and I’m proud of that, and if you think I’m less because of my color I will show you how much more I am than you. And you will know. I’m a man, but that doesn’t mean that my biological, purely coincidental constitution, constitutes and determines my social-cultural behavior. Even if some people think it does. I think of men and women as human beings, not as men or women. I don’t like sexist jokes or behavior, no matter if you’re a man or a woman. I’m not easily impressed by what you’ve achieved, but more by how you treat other people and your ability to ‘give’ in the broadest sense of the word. I’m passionate and full of fire when it comes to things I love and believe in. And the fire will keep on raging. So don’t think you can tame me even if you think I’m bordering to insanity. I give respect to anyone I come across, no matter who you are: man, woman, child, foreigner, white, colored, LGTB, educated, not educated, blue-collar worker, white-collar worker, celebrity or just the average Joe. So I expect respect in return and I will let you know if you don’t give me the respect I deserve as a human being and that I give to you, no matter who you are: celebrity, genius, president or the average man. I will let you know and you will feel it. I don’t look down on anyone, I don’t look up to anyone, I see you as you are. I expect the same from you. I always think before I say or do things, so if you say things to me, I hope you’ve thought about it first. I sometimes try to sell things here, and I believe I can do that since this is my personal page and because I’ve given a lot for free over the years and still give a lot for free. You give some, you take some and I’ve always given more than I took. If you write me an email, I appreciate the correct informal salutation. It’s a sign of respect, no matter if you bought a product or service from me and assume the purchase entitles you to more than you paid for. You can buy my products in which I put everything I have in terms of knowledge, effort and experience but you can never buy me. You’re entitled to my services, but you’re not entitled to be disrespectful towards me. If you don’t like what I wrote here or don’t like the way I look, there’s an unsubscribe button. No hard feelings. But if you keep visiting my blog, I expect you to respect my thoughts and feelings. Me. Joel believes strongly that the purpose of art is to communicate what it means to be alive and to feel. It is a necessary expression and acknowledgment of the human condition. [On a side-note: I know that many people are allergic to the phrase ‘human condition’, but really, what else is art its purpose than exactly that? Don’t judge a statement based on the use of cliches to effectively state a truth, but base your judgment on the truthfulness of such a statement]. As such, he’s continuously trying to evoke an emotional response with his photographs by trying to capture and create what he feels in the process of shooting and processing. “I’m not an abstractionist. I’m not interested in the relationship of color or form or anything else. I’m interested only in expressing basic human emotions: tragedy, ecstasy, doom, and so on.” . Even though Joel doesn’t want to limit himself to specific genres or subject matter, his focus is often on architectural objects but his love goes out to portraiture photography. In his architectural photographs, Joel is merely trying to use architectural objects as symbols, as universally understood characters of a 3 dimensional language. And he is using black and white and long exposure techniques as a way to move away from reality to prevent from a too literal interpretation of what he’s trying to visualize and ultimately communicate. This, however, requires an acceptance of the inherent limitations of photography that, in the words of Susan Sontag, a painter constructs and a photographer discloses: as a photographer you cannot ignore the dominant position of the captured object from reality that fills the frame. But with his black and white techniques Joel tries to eliminate the dominant object matter, by adding enhanced shadows or highlights, reducing or increasing selective contrasts, using unexpected tonal relationships, to redirect or mislead the eye and hence transform the captured objective reality to a subjective reality in which the subject matter, human emotions, prevail and the object matter is reduced to a symbol. In the end, Joel believes it doesn’t matter what is captured and shown in a frame as they’re all symbols to communicate what it means to be alive and to witness the world.